Well, yes and no. A press release out today during all of this CES business states that Valve and Xi3 Corporation – the guys who make the computer pictured above – are becoming friends. These shots, however, are simply images of current computers the Xi3 develops. The overview of the product in these images lists a “Xi3 Modular Computer with a dual- or single-core 64-bit, x86-based processor supported by the 780E NorthBridge and SB710 SouthBridge chipsets, with dual 2560 x 1600 display outputs.” It also has 2GB of memory with 16GB of SSD storage. It still remains to be seen how Valve will change this little box, but it certainly will be interesting one way or the other. Right now you can order a Xi3 Modular Computer for $499. Update: It seems like the Steambox is codenamed “Piston,” according to Polygon, and the version they are looking to build will have modular component updates and up to 1TB of storage. SALT LAKE CITY and LAS VEGAS, Jan. 7, 2013 /PRNewswire/ — Xi3Corporation today announced a development stage system optimized for computer gameplay on large high-definition television monitors. 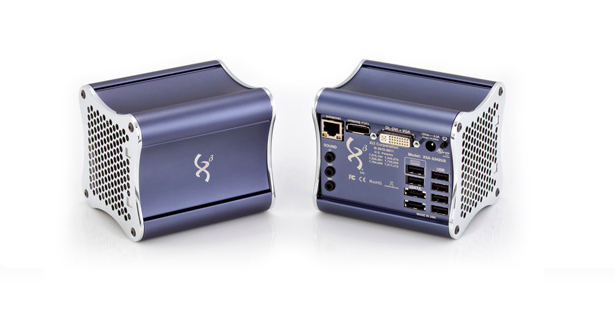 Housed in the uniquely shaped, grapefruit-size Xi3® Modular™ Computer chassis, this new development stage product is being showcased this week at the 2013 International CES trade show in Las Vegas, Nevada in booth #20425 in the Las Vegas Convention Center. Xi3’s new development stage product is designed specifically to support both Steam® and its Big Picture™ mode for residential and LAN party computer gaming on larger high-def screens. Xi3 also announced today it has received an investment from Valve Corporation. Xi3’s new development stage computer game system is also being showcased in Valve’s booth (#25730) at CES 2013. No additional details about Xi3’s new system or Valve’s investment in Xi3 will be released at this time. Formed in 2010 and headquartered in Salt Lake City, Utah, Xi3 Corporation utilizes “The Power of X” to bring its building block approach to the world of computing, an approach Xi3 applies internally and externally to hardware solutions and software applications. For more information on Xi3 Corporation (an ISYS TechnologiesSM company), please visit www.Xi3.com. 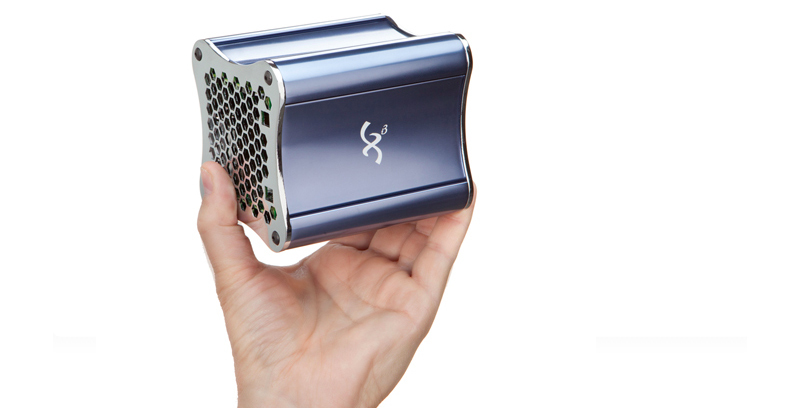 The shape of the three-sided single piece casing, the end plate, and the overall shape of the Xi3 Modular Computer, as well as Xi3, Modular, Xi3 Modular, “The Power of X” and ISYS Technologies are trademarks and unique trade dress of ISYS Technologies, Inc. I am fascinated. But will it run Crysis? According to their Kickstarter (that failed last year), yes.